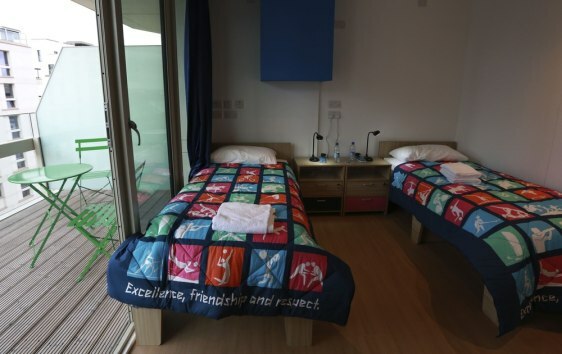 A bedroom and balcony in the Olympic Village in East London on June 30. The website RemainsOfTheGames.co.uk sells items from the London 2012 Olympic Village residences, including beds, patio chairs, tables and sofas. The "complete superlong extended Olympic" beds, including mattresses, sell for about $235.